The SUROL Bulletin this quarter gives the Grand Priory of Great Britain a full page of thanks occasioned by the donation of £3,125. 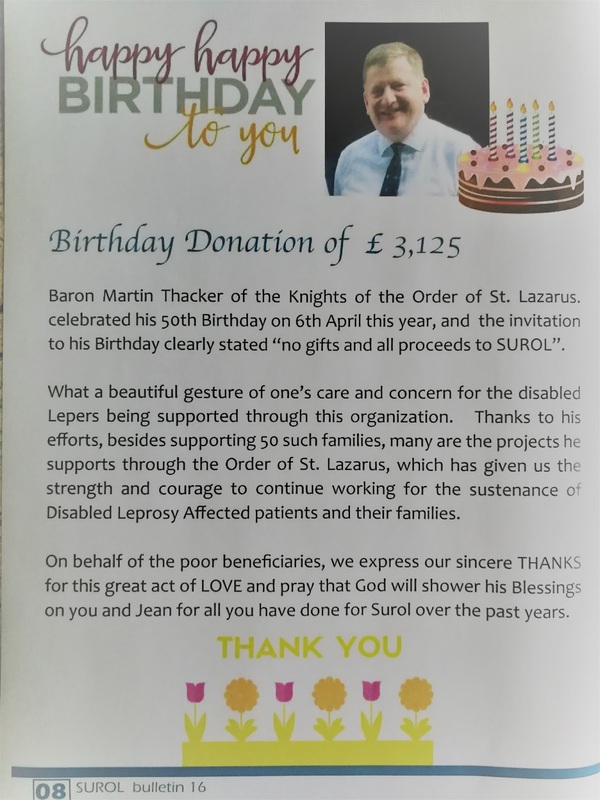 The Grand Prior, HE Martin Thacker, recently celebrated his 50th birthday and asked for donations for SUROL instead of gifts. Happy Birthday to our Grand Prior in this significant year and long may he reign over us!